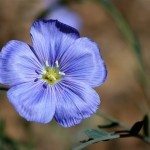 I am planting a NZ Flax in a container in zone 6, since they are not too cold hardy, would insulating the container help? Or is it the foliage that the cold temps effect? New Zealand Flax is hardy in zones 7-11, some even rated at 8 to 10. In a colder zone you can grow as an annual. There is never any harm in trying to winter over them. You can insulate the pot and place in a sheltered area. Plants like to surprise gardeners all the time!